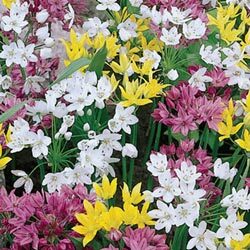 These low-growing alliums form increasingly large groups each year, and are easy to grow for a colorful garden with a pleasing fragrance. 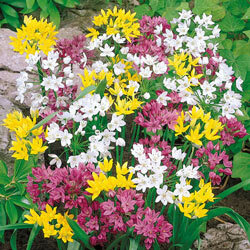 The Mountain Bells Mixture grows in 2" clusters with heads of little bells in gorgeous yellow, white and pink. 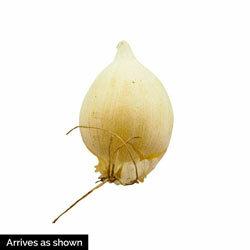 This, paired with the allium's unique structure, is sure to turn your late spring garden into a yearly crowd pleaser!